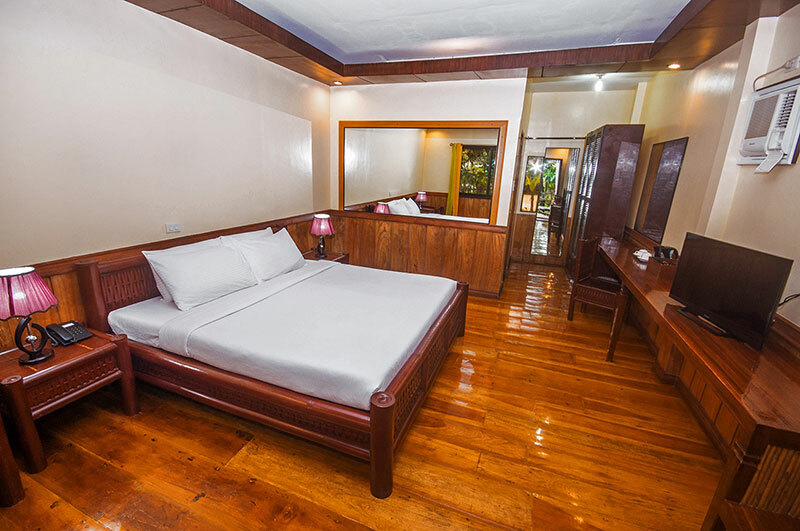 Rooms - Loboc River Resort Bohol, Philippines | Complete Your Bohol Experience! 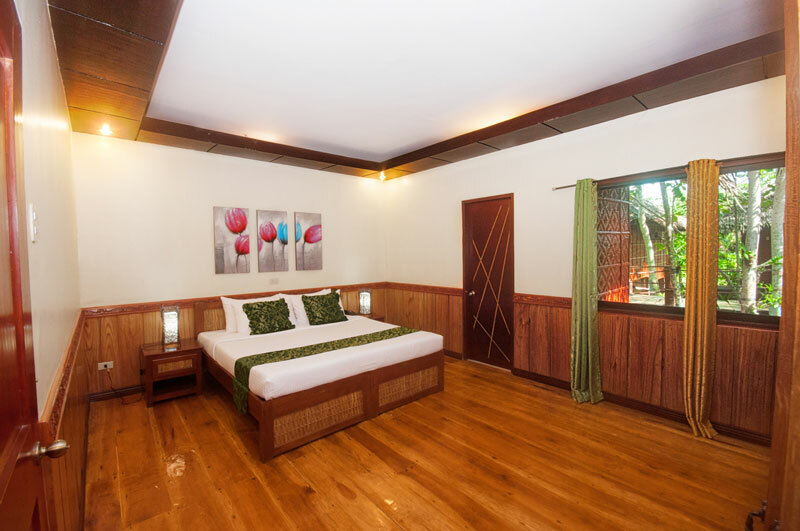 Loboc River Resort in Bohol, Philippines offers a total of 24 native-designed accommodations set over the majestic Loboc River. 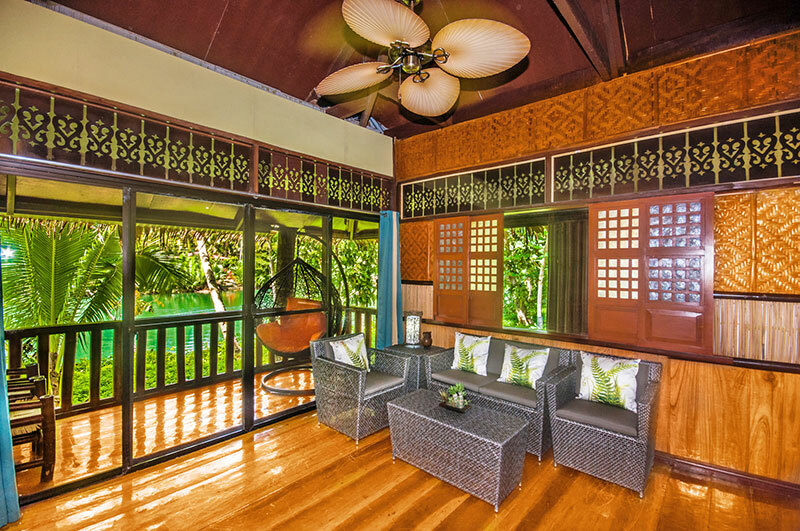 Our modernized huts are supported by sturdy stilts and connected by quaint wooden bridges. 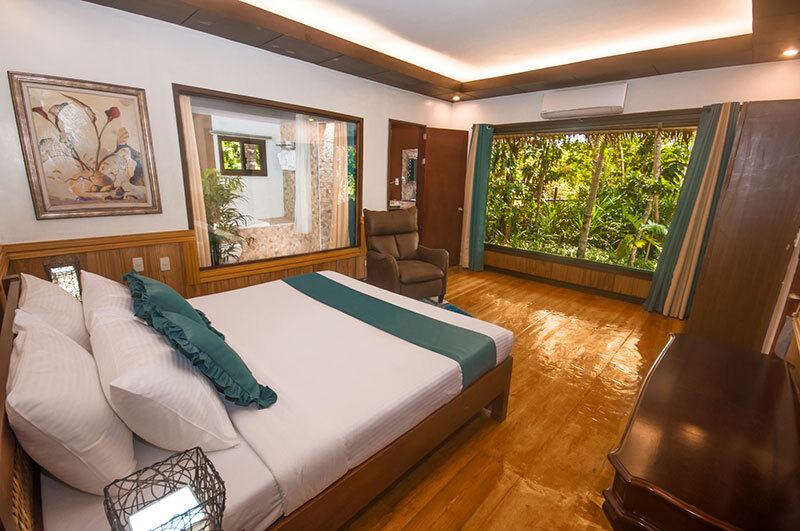 The spacious lodgings can comfortably house up to 3 guests, making each a perfect lodging choice for families, couples, and friends looking for a nature-inspired adventure. 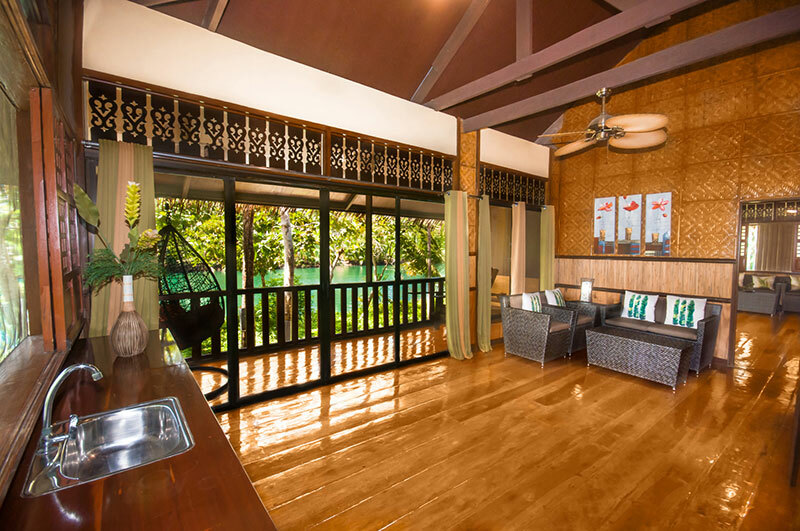 The Premier River View Suite features your own living room area, a private veranda with a view of the river, and a spacious bathroom with a bathtub. 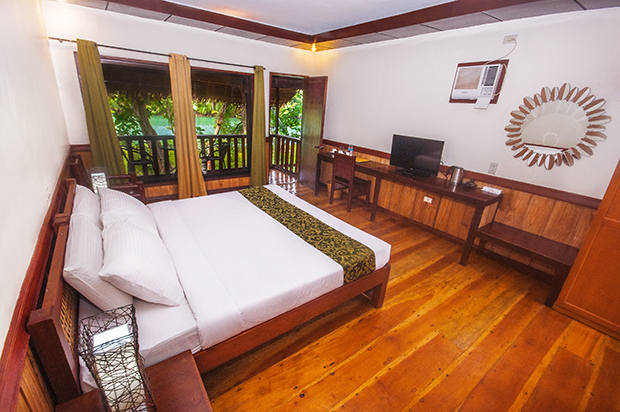 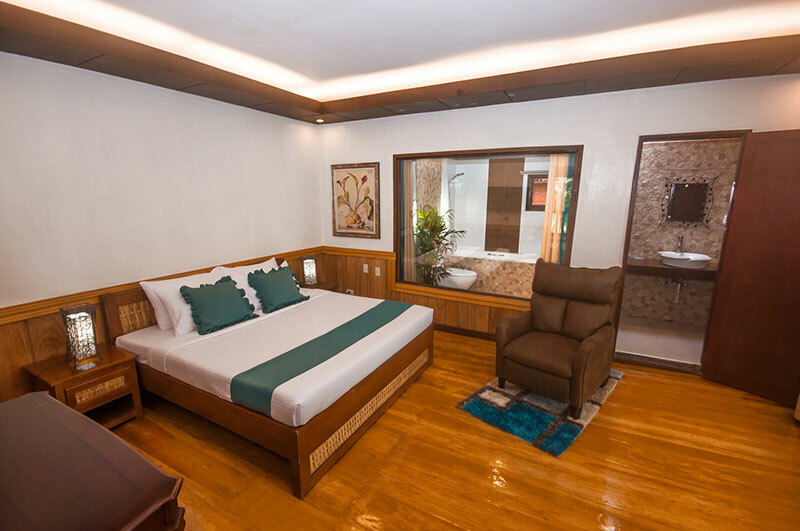 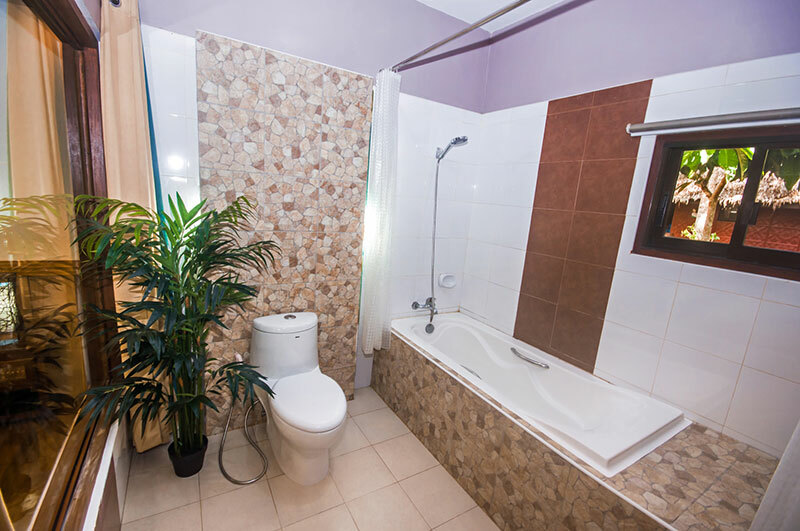 The River View Suite is big enough for 2-3 guests and is equipped with modern amenities. 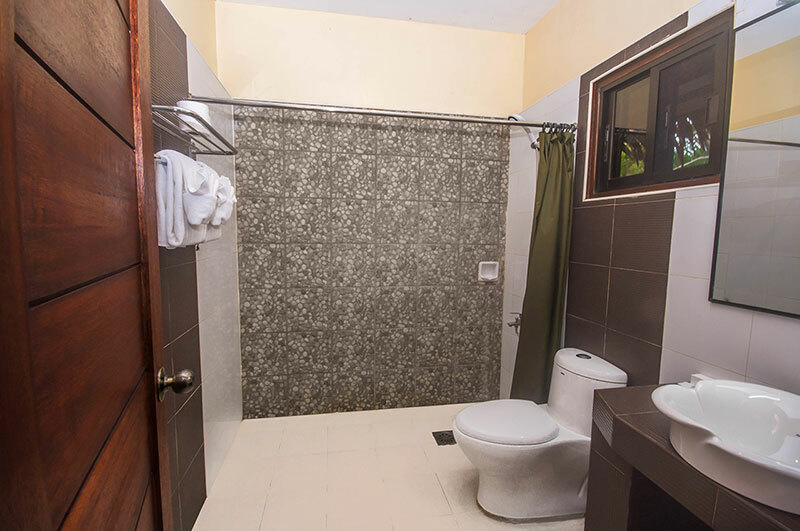 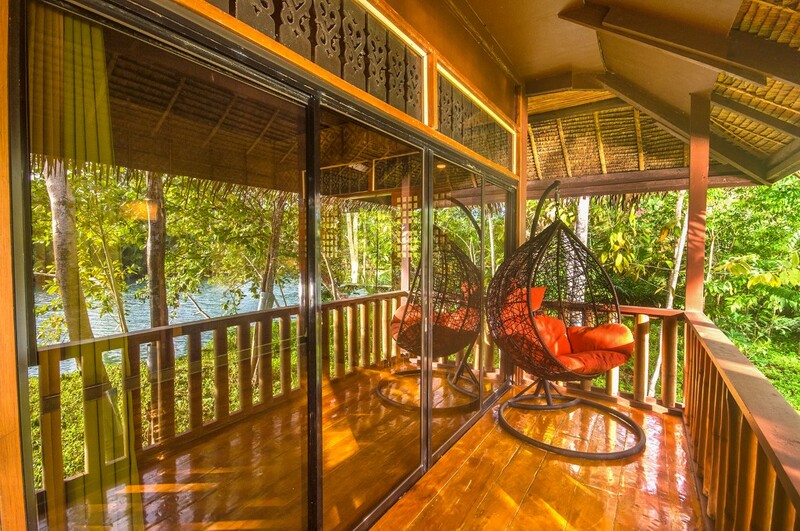 It features a living room area and your own veranda with a view of the Loboc river. 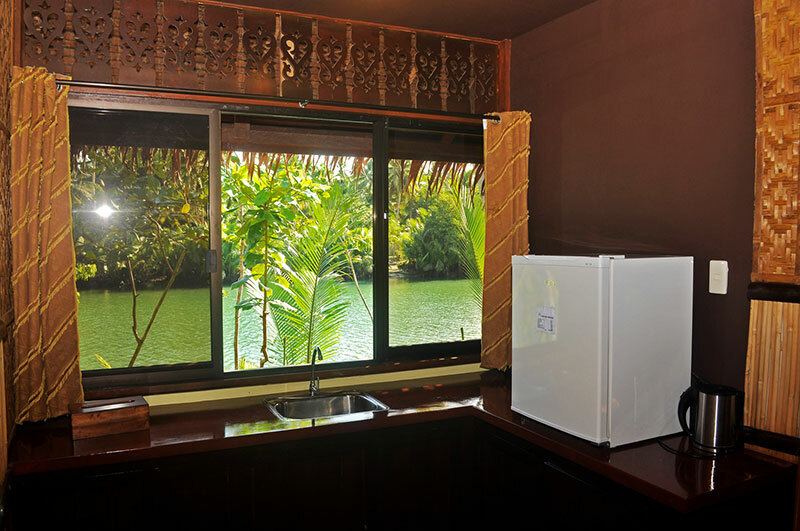 Located at the riverfront, the River View Rooms has private verandas that open up to full views of the river. 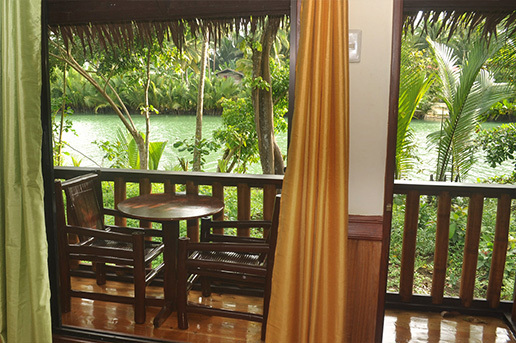 Enjoy the river breeze while watching the small boats cruising along the waters. 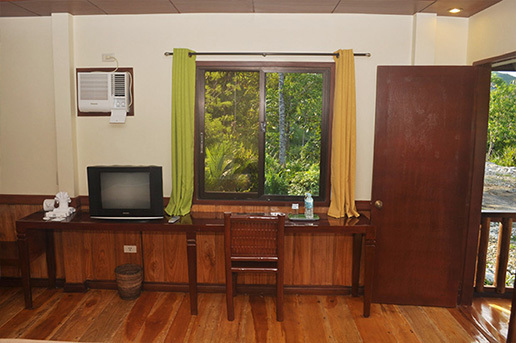 Our spacious Forest View Rooms are perfect for families and group travelers. 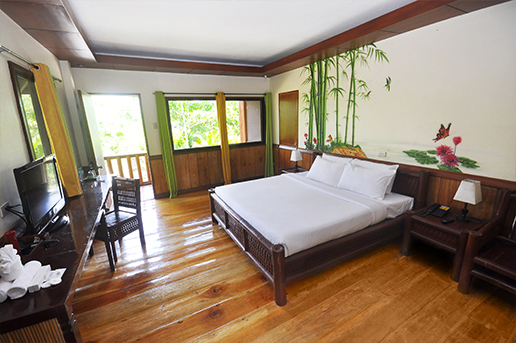 Stay here and enjoy views of the lush green side of the resort.